We are a Digital Impression Practice and have an iTero Element Intraoral Scanner. 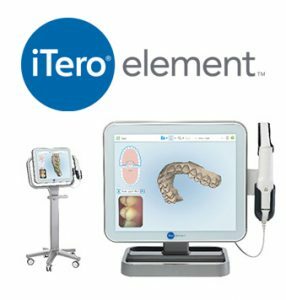 The iTero is a state-of-the-art digital impression scanner that eliminates the need for messy impression material in your mouth. With our iTero Element Scanner, we can digitally capture a detailed 3D model of your teeth and gums. Not only is this process far more comfortable than the old putty based impressions, but it’s faster and more detailed. Throughout the scan, you can breathe or swallow as you normally would. You can even pause during the process if you need to sneeze or just want to ask a question. The scanner gives us a 3D model of your mouth that can be used for treatment planning and Invisalign. Dental X-rays are safer and more convenient than ever before. At Boyles Orthodontics, we use digital x-rays because it exposes patients to much less radiation than traditional methods; up to 90% less in fact. Digital x-rays also decrease the amount of time spent at the office because you don’t have to wait for the film to develop. The image is generated instantly and can be viewed and examined right away. The image quality is also much higher so that the x-ray can be enlarged, or adjusted, so that a better diagnosis can be made.